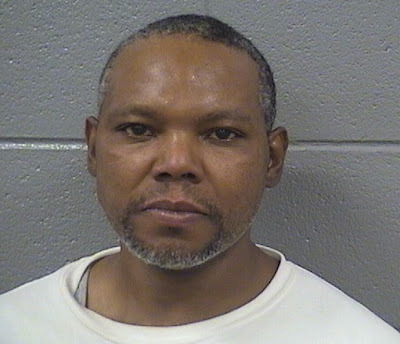 A 44-year-old Garfield Park man has been charged with armed robbery after he allegedly pulled a knife when a loss prevention worker attempted to apprehend him for shoplifting at a Boystown sporting goods store Friday evening. When a security guard took the bag of shoes from Day, police say, Day began waving a knife at the guard and threatened to stab him if the guard did not return the bag of shoes. Day fled the scene when the guard screamed for other employees to call police. Officers arrested Day about 20 minutes later as he walked in the 2900 block of Broadway. Image: Day's mugshot from the Cook County Sheriff's Department.